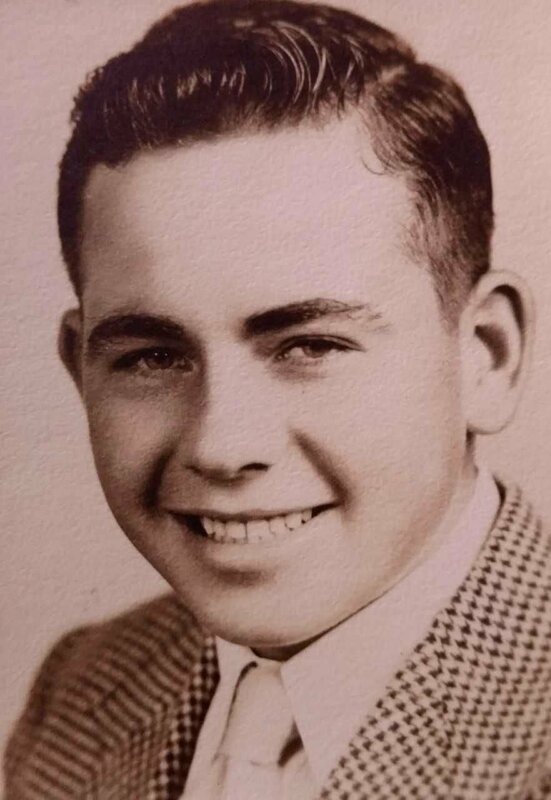 Peter James Supan, 88, of El Paso, passed away peacefully at 3:45 a.m. Tuesday (Jan. 8, 2019) at Flanagan Rehab and Health Care Center, following a series of illnesses and a stroke. A memorial mass of Christian burial will be 11 a.m. Saturday at St. Mary’s Catholic Church, El Paso, with Father Robert Rayson officiating. A reception/celebration of life will follow at St. Mary’s Hall. In lieu of flowers, memorials may be directed to El Paso Rescue Squad or Alzheimer’s Association. Calvert-Johnson & Froelich Memorial Home is assisting the family with services. Peter “Pete” was born July 12, 1930, in Chicago, a son of Joseph and Mary “Maise” Moran Supan. He married Marjorie E. Hubert on March 14, 1959, in Las Vegas, Nev. She survives. Other survivors include a son, Timothy (Amy) Supan, Carlock; a daughter Tracey (Nicole) Supan, Yorkville; four grandchildren, Samantha, Shannan, Sean, and TJ; sisters, Delores Hynes, Bloomington, and Maureen Kasza, Peru; brothers, David (Pat) Supan, Normal, and Thomas (Teresa) Supan, Morton; a sister-in-law, Judy Supan, Toluca; and numerous cousins, nieces and nephews. He was preceded in death by his parents; two sisters, Mary Struett and Romana Kemp; one brother, Joe Supan; brothers-in-law, Paul Hynes, Hank Struett, Wayne Kasza, and Arlis Kemp; and lastly, Pete and Marge's dog Seal, who provided many years of joy and comfort to both. Pete grew up in Toluca and graduated from Toluca High School in 1949. He served one year in the U.S. Air Force as an air policeman and then in the USAF Reserves. He worked at Caterpillar Tractor Co. for 36 years, retiring as a line supervisor in 1985. After retiring from Cat, he spent years working maintenance for El Paso Parks and Rec. Pete and Marge moved to the Villages in Lady Lake, Fla., and lived there 1997-2013, enjoying the sun, pool, golf cart rides, and visits from their kids and grandkids. They spent their summers at Hickory Hill campground near Secor to be near, and spend more time with, friends and family and watch their grandchildren grow. They moved back to El Paso in 2013. Pete was a great father and grandfather. He dreamed big for all his kids and grandkids and was always there along the way. Pete loved to hunt and fish growing up and passed on that love to his kids. He enjoyed playing fastpitch softball in his early adult life and was an avid Chicago White Sox fan. 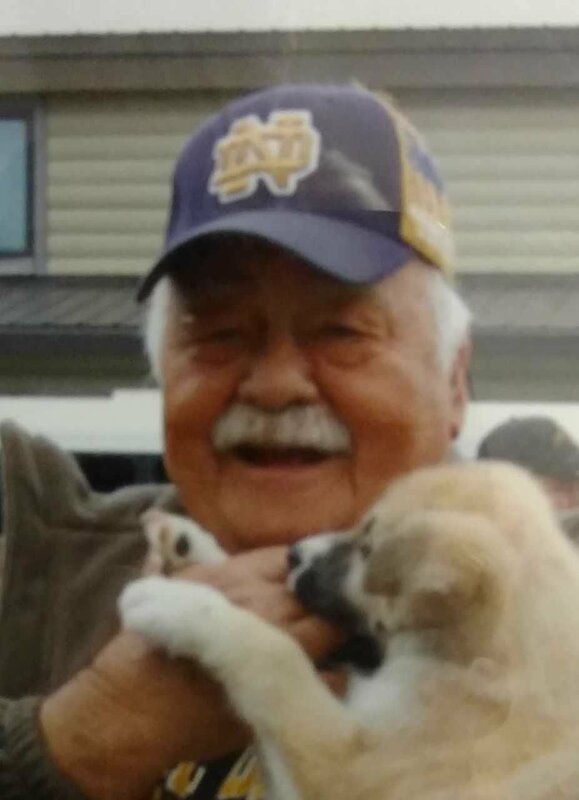 He was a loyal Notre Dame football fan and enjoyed going to games, almost yearly, with his kids and grandkids. He enjoyed his time in the timber and going fishing with his grandkids and watching them throughout the years in all their sports. Pete loved his friends and family yet still loved to “razz” those closest to him. He was born with the “gift of gab” and could make friends and talk with anyone. If you ever got stuck in a long line with Dad, you knew everything about him, especially what his kids and grandkids were doing, and you could tell he was a proud father and grandpa. A few paragraphs can never sum up a life as good as the one Pete enjoyed. His passing should not be mourned but remembered and celebrated. His story of life, like many others, is a great comedy, drama, fantasy, and adventure. As those stories end, a new story begins, a mystery, the mystery of God. I just hope Dad doesn’t hold up the line for everyone else as he tells St. Peter about his family.